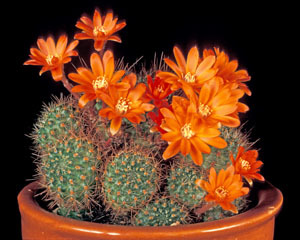 Rebutia cacti produce bright flowers in spring. Cacti tend to delight people because of their weird shapes, unusual spine patterns, and colorful flowers. But for those of us who live in cold climates, our options for growing them are limited: relatively few survive outdoors during our winters; most of us don’t have greenhouses that provide the intense light that many cacti require; and many cacti are just too big to live in windowsills. But there are several groups of cacti that remain small and live in habitats where they are adapted to lighting conditions that are less intense than those found in the Tucson desert. 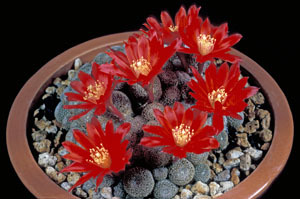 One such group consists of the rebutias, charming little plants that produce bunches of bright flowers in spring. These cactus gems are at home in the high Andes of Bolivia and Argentina. They are small plants, ideally suited for small spaces. Many have interesting spines and once a year they produce a profusion of flowers that come in a rainbow of colors; several have bicolor flowers. Rebutia is the only common name for these plants and derives from the scientific genus name Rebutia, named after a French grape grower and cactus nurseryman (quite a combination!). Rebutia fiebrigii near Pucara, Bolivia (2850m = 9350ft). Photos by Graham Charles, Stamford, England. In their natural habitat, rebutias range from northern Bolivia south to northern Argentina, and from just east of the Chilean border to just west of Paraguay. This is a very mountainous region and rebutias span an altitude from 3000 to nearly 15,000 ft. It is a rugged area with the high peaks separated by deep valleys; this has resulted in numerous localized forms of these plants, a factor that has resulted in their classification and nomenclature (scientific names) being in a bit of a chaotic state. Another factor that has posed a problem to the understanding of the classification of this group is the remoteness and ruggedness of their habitat. In the early days of botanical exploration of this region of South America there were very few roads and botanists and explorers had to travel by horse, burro, or afoot. Therefore, relatively few species were known and the differences between them were very apparent. But in the last 30-40 years many botanists and plant collectors have explored the area and the number of distinct forms has blossomed. This has resulted in the recognition of many intermediate and transitional forms. To give you an idea how radical the changes have been in the classification of this group of plants, many collectors and authorities still consider that they belong to three, or in some cases even five, separate genera. 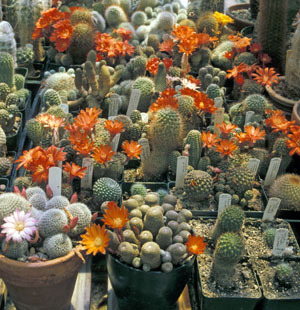 Many serious collectors consider that there are three distinct but probably related genera: Rebutia, Sulcorebutia, and Weingartia. Beyond that, Rebutia (in the older, narrower sense) was itself at one time segregated into three genera: Rebutia, Aylostera, and Mediolobivia; there are those who still recognize these older names as valid genera, but most people today lump these three together within Rebutia. To make things even more confusing, at one time all of the species of Sulcorebutia were placed within Weingartia. 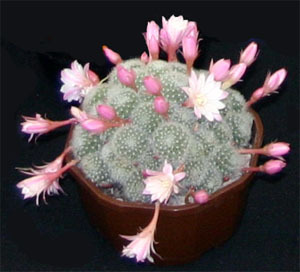 In 2006, the most recent compendium of the entire cactus family was published after two decades of discussion by scientists and authoritative hobbyists who form the membership of the International Cactaceae Systematics Group. In this most recent consensus of opinion, all of these genera have been absorbed into Rebutia. Why Rebutia? Because of all these generic names it is the oldest and, by the rules of taxonomy, it has priority. This is an excellent example of the battles between “lumpers” and “splitters” in plant classification. Lumpers believe that organisms with obvious similarities should be classified together. Splitters, on the other hand, believe that organisms with obvious differences should be classified separately. At the moment, in this argument, it would seem that the lumpers are winning. Lumping and splitting relates not just to genus names, but species as well. As plant explorers travel to new areas and find new forms, the obvious course of action is to consider new forms to be new species and to give them new names. But then, as intermediate areas are explored, intermediate forms are found, and it becomes clear that we are dealing with a variable species; as individual populations became separated by the extreme topography, they developed their own slightly different characteristics. So we end up with plants from different populations with different spines (colors, numbers, shapes, lengths) and even different flower colors. 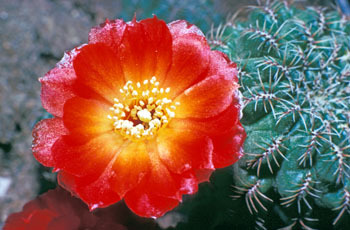 In the aforementioned new compendium on the cactus family, the authors list over 200 published scientific names for species and varieties within the genus Rebutia but they conclude that only about 40 of these can be truly and scientifically recognized as being distinctly different species or varieties. However, many nurseries and collectors still hold on to the old names, which can cause a bit of confusion. But probably the important point in all this is that there are many, many distinct forms of rebutias and if you fall in love with the group (easy to do) you have lots of different forms from which to choose. Originally called Rebutia narvaecensis, this is now considered to be a form of R. fiebrigii. 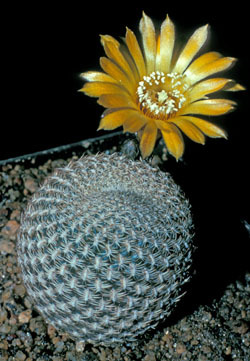 Rebutias are small plants, the individual stems are some variation of the ball shape, from slightly flattened to slightly elongated. An individual stem 3” in diameter is big for this group and many are full sized at an inch or even less. However, many offset prolifically so that plants develop into clusters or mounds that, if left to continue on their own, may slowly fill a six or even eight inch pot. They are easy to propagate by removing and rooting these offsets (or “pups” as cactus growers sometimes call them), so plants that are becoming too large for their quarters are easy to start anew. 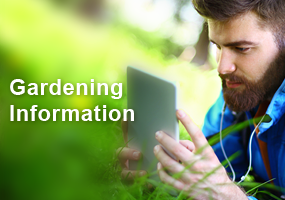 fertilize lightly during the growing season. In their natural habitat rebutias grow at moderate to extremely high elevations. Mid day temperatures are usually comfortable to somewhat warm (hotter in the lower elevations); night temperatures can be very cold – even below freezing. These small plants grow close to the ground and their immediate environment is moderated by the insulating characteristics of the surrounding soil, rocks, and larger vegetation. They grow at high elevations where the atmosphere is thin and the sunlight is intense; however, many plants grow in areas that are partially shaded by neighboring rocks or plants. Light. Bright light brings the real character out in these plants. Many have body colors that are rich with tones of bronze or even purple which are enhanced in bright light. Bright light results in more compact growth and heavier and more richly colored spines. And bright light encourages more generous flowering. Therefore, they need bright light, and ideally at least a few hours of direct sun each day, but they don’t need the continuously intense light of the deserts of Texas, Arizona, or southern California. Indeed, people in those locations grow these plants under partial shade. This makes rebutias ideal cacti to grow in northern latitudes where our light intensity is decreased. Here they do quite well as patio plants in containers on fully exposed decks and patios, or in the unshaded greenhouse or sunroom. In the winter time a cool, south-facing windowsill is fine, but ventilation is helpful and the soil must remain dry during this period. If you do succumb to an overwhelming desire to water them during the winter, do so lightly, and during a period when a string of sunny days is forecast. Also, rotate the windowsill plants a quarter turn every week or two so that all sides are equally exposed to our highly directional winter sun. These plants can be successfully grown under artificial lights, especially the high intensity lights rather than fluorescent “grow lights” which don’t produce enough intensity for most cacti. Rebutia heliosa is a choice miniature; this is a form originally named R.heliosa var. cajasensis. Soil mix, potting, and watering. These are all interrelated factors. 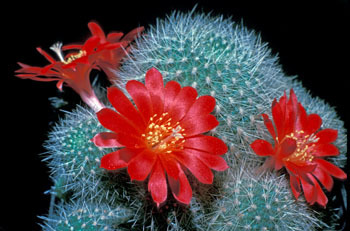 Rebutia plants, like all cacti, do not like to have prolonged periods of wet soil. When exposed to such conditions they can easily end up with root-rot which quickly moves into the stem resulting in the demise of the plant. In nature rebutias live in rocky soils on steep slopes which are naturally well-drained. Therefore, in cultivation, they need a well-drained soil mix with minimal organic matter, and they need pots that are sized to be in balanced with the root system. Remember, a healthy root system removes moisture from the soil which is ultimately lost from the plant through transpiration; if the soil mass is substantially larger than the root system, the soil stays wet longer with the potential for root rot. Any good potting soil can be used as a start, but needs to be cut 50% with extra drainage material. Sharp builder’s sand is commonly used, but screen it through window screening to remove the fines. Horticultural pumice is another option to provide drainage but is difficult to get here in the Midwest. Poultry grit, available from feed stores and farmer coops is another option. Probably the most easily available and best known to gardeners is sponge rock such as Perlite™, but this tends to float to the surface during waterings and eventually becomes rather ugly. Also, if using a peat-based soil mix, keep in mind that peat disintegrates after a few years resulting in an inhospitable root environment, therefore, repotting every 2-3 years is appropriate. Remember, if your plants quit growing or blooming, the root system is probably unhappy. Rebutia fiebrigii is a very variable species. This one was originally named R. donaldiana. Pots should be of an appropriate size, but terra cotta, plastic, or stoneware are all acceptable. Pots MUST have drainage holes and, if kept in saucers, be sure to dump the saucer after watering. Some species (especially amongst the sulcorebutia group) have massively thickened tuberous roots; these may need slightly larger pots, but only as deep as needed to accommodate the root system. Rebutias bloom best if they have a cool, dry winter rest. This works out ideally because you don’t need to water them at all during the coldest, dreariest period of mid-winter. 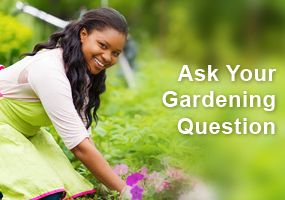 If the plants are well established, they can easily survive 3-4 months without watering. During this period they prefer cool conditions, ideally not much above 60°F during the day and cooler at night, and, if the soil is dry, they can take a few degrees of frost. This makes a cool, sunny windowsill ideal for wintering these plants. 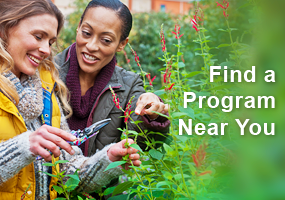 Begin watering in March when the days are getting noticeably longer. Water sparingly at first, with 2-3 weeks between waterings. Once the plants can be moved into a sunnier location for the summer, they can be watered weekly as long as the soil dries between waterings. An occasional summer thunderstorm is fine, but if the plants are outside and the weather turns cool and wet for more than a few days at a time, the plants should be placed in a protected area to allow the soil to dry or until warm sunny days return. As the days grow shorter and cooler, cut back on watering through November and stop watering altogether in December. You may notice that the stems of the plants shrink a bit during the dry dormant period; they may even become a bit wrinkled. This is perfectly normal for a cactus and they will plump up quickly once watering resumes in the spring. Rebutia hybrid ‘Carnival’ with many offsets. Fertilizer. Use a low nitrogen fertilizer relatively high in potassium, such as those recommended for tomatoes and flowering shrubs as opposed to houseplant (“foliage plant”) fertilizers. Fertilize at about ½ the recommended strength once every 2-3 weeks from early June through the end of August or mid September. Pests. Root rotting microorganisms are the most devastating because they will kill the entire plant. These can be avoided by careful watering. The most important arthropod pests are spider mites (red spider), thrips, and mealybugs. Both mites and thrips damage and scar the plant’s epidermis as they are sucking out the moisture and nutrients within the stems. Such scars are permanent, though after the infestation has been eliminated new growth will again appear healthy. Mites tend to be more of a problem during the end of the dry winter rest period, or if the plants remain year-round indoors. Thrips tend to be more of a problem when the plants are taken outdoors for the summer, as they can become infested when outside. Mealybugs are the scourge of cactus collections; there are several species and there can be root-feeding forms as well as stem forms. They love to nestle in amongst the bases of the spines where they are difficult to reach with tweezers. They are often found at the growing tip of the stem and if an infestation here is allowed to go unchecked, the growing point can ultimately be killed. House and garden insecticides containing imidacloprid are very effective against mealybugs, and products containing spinosad do a good job of controlling thrips. Mealybugs can also be controlled with a cotton swab dipped in rubbing alcohol which is applied directly onto the insect’s body. Check with your garden center for products recommended for mite control on house plants. Rebutia minuscula is one of the earliest named species. It is quite variable and many names have been published. This form was long known as R. senilis. Propagating by cuttings. Rebutias are easily propagated by removing and rooting the offsets (“pups”). This is best done between mid spring and mid summer. The offsets should be at least ½” diameter. Use a very sharp knife or razor blade and make the cut at the thinnest point, usually where it joins the mother plant. Offsets are often quite loosely attached and easily removed. Allow the cuttings to dry for at least a week, in a bright location, but not in direct, hot sun. Then place the cuttings into shallow depressions in slightly moist potting soil. After another week, begin watering very lightly once a week until it is apparent that roots have formed and the plant has become anchored in the new soil. After that, water normally, making sure that the soil does dry between waterings. Rooting often begins in as little as a week or two, though some species are more reluctant. Rebutia arenacea is in the Sulcorebutia group and in many collections and nurseries it still bears that genus name. 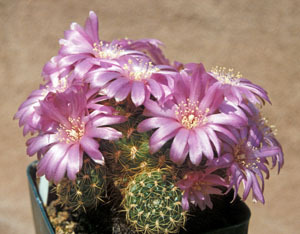 Because of their ease of growth, colorful flowers, and small size, rebutias are very popular. Therefore, they are often found in the mixes of cacti and other succulents that show up periodically at the major chain stores. Make sure these have been grown under good light (the plants are dark green and the stems are rounded and not elongated from the center) and are free of pests. Because they have likely been under low light conditions for awhile, protect them from the most intense sun for a couple weeks. But the best sources of plants are from specialized cactus and succulent nurseries; an internet search for “cactus nurseries” will reveal many options. Or go to The Cactus and Succulent Plant Mall for a worldwide listing of cactus nurseries. In summary, rebutias, by whatever name, are charming, easy to grow cacti relatively well suited for our northern growing conditions. Winters are spent just fine in a cool, bright window, and they tolerate being outdoors in our warm, rainy summers. They produce a profusion of flowers in spring, and their stems and spines are neat and attractive throughout the year. With just a little attention to a well drained soil mix and proper watering, most anyone can be successful with these little gems from the Andes of South America. Rebutia caniguerallii has long been placed in the genus Sulcorebutia. Almost all of these charming species are well worth growing. Within the Rebutia group the plants tend to have longer, more upright spines whereas many of the popular species in the Sulcorebutia group have feathery or spidery spine clusters that hug the plant stems, giving the stems an overall smoother look. There are also named hybrids that may be available. Rebutia fiebrigii is one of the highly variable species, with many different appearing local populations. Two favorites are the forms originally called R. muscula, with short white spines and orange flowers, and R. narvaecensis, also with white spines but with beautiful white to pink (often bicolor) flowers. Rebutia heliosa has very small stems with tiny spines that hug the body, giving the plant a tan appearance. It forms clusters and has beautiful orange flowers. Other forms exist, with short white spines and red flowers. Rebutia (=Sulcorebutia) mentosa ssp. mentosa comes in multiple forms, but mostly with dark green bodies and pinkish to purplish flowers. Some forms have very short spines. Rebutia (=Sulcorebutia) mentosa is a very variable species, with short black spines to long yellow spines; some forms have white flowers. Rebutia minuscula is a variable species, usually with somewhat flattened stems. It comes in an assortment of flower colors, and many names have been applied to local populations in this group. One of the prettiest has been called “var. violaciflora”. A yellow flowered form sometimes carries the name R. marsoneri. Rebutia (=Sulcorebutia) pulchra lives up to its species name (beautiful). The stems are short and compact and vary from deep green to purple. Spines vary from long, thin, and wispy to barely-there. One of the most popular forms was originally named S. rauschii, which even by itself is quite variable, with body color from green to purple and tiny spines from black to golden. Flowers are in shades of purple. Rebutia pulvinosa is another variable species; the subspecies albiflora (=R. albiflora) has finger-thick, grass green stems with short, white spines and white flowers. It forms dense clumps rapidly. The form of R. pulvinosa originally named R. perplexa has grass green stems with short yellowish spines and beautiful lilac colored flowers. Books. The following three books specialize in this group. All are aimed at the hobbyist and all are richly illustrated with color photos. Pilbeam, John. 1985. Sulcorebutia and Weingartia: a Collector’s Guide. Timber Press, Portland. 144 pp. Pilbeam, John. 1997. Rebutia. Cactus File Handbook No. 2. Cirio Publishing, Southampton, England. 160 pp. Pilbeam, John, and David Hunt. 2004. A Sulco Gallery. David Hunt Publishing, Milborne Port, England. 64 pp. Internet sites. Do an internet search for either Rebutia or Sulcorebutia and you will get many hits. I especially liked the suggestion to use chicken grit for soil mixing, as many other soil amendments are hard to find here. I also thought the classification section was informative and amusing. These cacti look easy enough to grow given the right amount of light. The fact that they do come in a variety of colors could make having several different plants enjoyable. I absolutely love visiting my Mother in Law during the cacti bloom season of AZ. It’s absolutely wonderful visiting the local open air zoos and hiking through the parks looking at all the variety. It would be fantastic if I could get my single cactus plant to bloom indoors but no luck to date. I have a very old cactus I inherited from my father. He had it since the 1960’s. It is large, green, and looks healthy . But it never has bloomed. I keep it inside during the winter (of course) with low light and dry conditions. Start to fertilize in the spring and carry it outside for the summer. As I said–it looks great, but never blooms. I’ve re-potted it twice in the last 8 years and there’s plenty of room for the roots in the pot. Maybe the roots are unhappy? I guess I’ll need to buy some rebutias to have blooming cacti.